The BBC Big Band has a family tree dating back many years, having its roots in the 1930s as Henry Hall’s BBC Dance Orchestra. However, it was not until the early 1960s that the Big Band really came into being when it was used to great effect in variety programmes including Jazz Club before, in 1979, the start of Big Band Special. This continues to be a regular part of Radio 2’s programming, featuring the band in studio sessions and regular outside broadcasts throughout the UK. Since the BBC Big Band became a full-time concern in 1991 it has built up a formidable radio reputation and recently enjoyed greater success in the world of television. 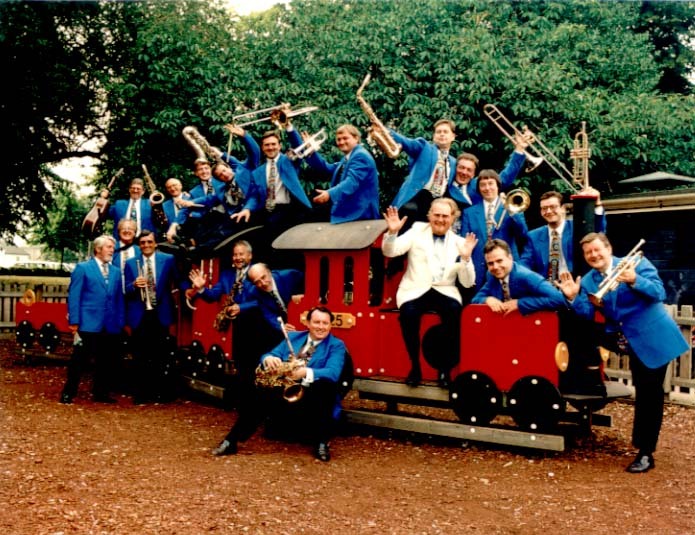 As well as Big Band Special the band appears regularly in various series and concerts for BBC Radio 2 and 3. Star guests with the band have included Michael Ball, Georgie Fame, Helen Shapiro, Lalo Schifrin, Claire Martin, James Morrison, Martin Taylor, Robert Palmer, Louis Stewart, Van Morrison, Amy Winehouse and American artists such as George Shearing, Tony Bennett, Mel Torme, James Moody, Bobby Watson, Clark Terry, Billy May, Ray Anthony, Les Brown, Michael Buble and Dr John. Television programmes include featuring on the BBC Pebble Mill series in its own right and accompanying guest singers and instrumentalists. Tony Bennett asked the band to join him on Chris Evans’ TFI Friday show and the band performed on BBC’s Parkinson with Phil Collins when he was a guest. The BBC Big Band tours exclusively through the UK for radio concert presentations and in its own concerts, featuring star guests. It has undertaken many tours abroad, including to the USA and Canada with George Shearing and to Caen, Normandy for two Battle of Britain 50th Anniversary concerts. The band and Barry Forgie have visited Germany – where they shared the stage with the RIAS Big Band of Berlin – and have also appeared with Jiggs Whigham at concerts in Harrogate, Cheltenham, Glasgow, Edinburgh and Newbury, at a BBC Radio Music Live event with Ray Charles, at the Royal Albert Hall Proms with Cleo Lane and John Dankworth, and at a late night concert with Wayne Marshall. Plus numerous other dates for organisations such as The National Trust and English Heritage. Individually, the Band can boast a wide range of musical talent, and there is scarcely a big band of repute in which one or more of its musicians has not played. They are required to play almost anything at sight, from Tommy Dorsey arrangements to Stan Kenton, requiring a high degree of musicianship from every band member, both young and experienced. It has been voted the best Big Band in the British Jazz Awards in 1992, 1994, 1997, 1999, 2001 and 2007.